experience in order to create timeless artwork for your home. Newborn sessions are scheduled within the first 10 days of birth, as your little one still likes to be kept in curly-cuddly positions and is often sleepier. We can of course schedule a session for babies a little older, though we do mention the babies often sleep less and can be less accepting of poses. Newborn sessions are scheduled on Wednesday and Thursday mornings at 9am. If these days are not a match for your schedule, please let us know, and we will gladly see what we can work out for you and your family. Our studio is equipped with multiple wraps, fabrics, hats and props designed with the comfort of your little one is mind, so simply dress your sweety comfortably for the ride to the studio, and take advantage of what we have available to you. Here in the studio, we offer a wonderful collection of dresses with various styles, sizes and fabrics. Professional hair and makeup styling is highly recommended, so as to enhance the quality of your exquisite photos, and is included in your newborn package. Simply arrive at the studio for your session, and we take it from there, while you relax and enjoy some pampering. 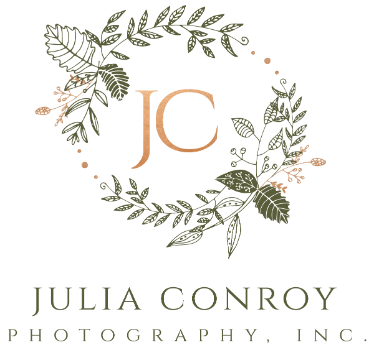 Your newborn session is designed just for you, and therefore includes a consultation with Julia. This consultation is meant to discuss your ideas, go over posing, props and wardrobe. We want to learn as much from you as possible so as to create a photo session with your vision in mind while also managing expectations and discussing comfort and safety.